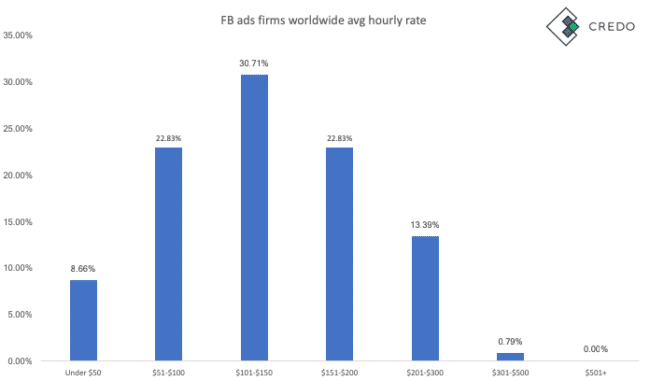 Facebook ads are still the newest addition to the go-to marketing channels for most companies. We still will frequently be told “Oh, our audience isn’t on Facebook” when speaking with prospective clients looking to hire an agency here at Credo. 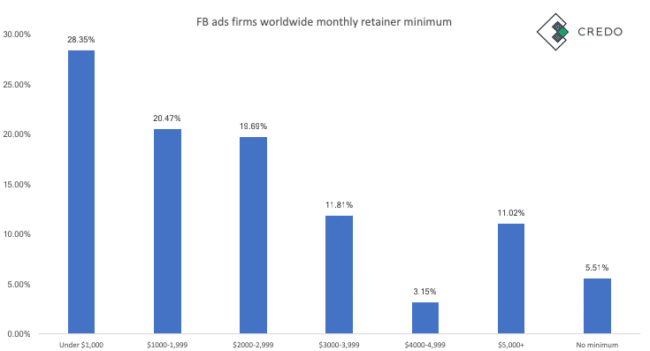 The reality is that EVERYONE (and their mother, literally) is on Facebook and it is an incredibly powerful channel for advertising and business. 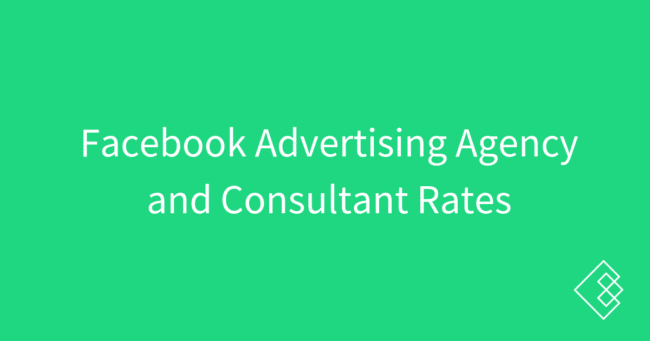 When they began slashing organic reach in 2014, advertising became even more important to reaching your audience on Facebook. 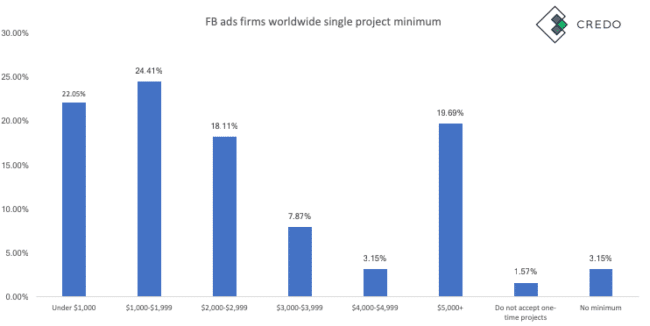 For this 2019 survey, we had 127 firms respond that they do Facebook advertising for clients. 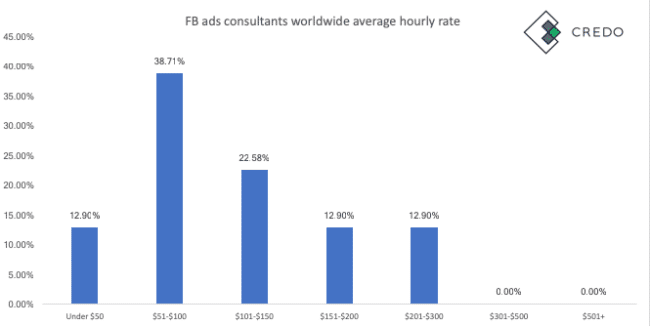 We found that on average, firms reporting that they run Facebook ads for clients charge $137.50 per hour for their work. Only 1 reporting firm charges $300 or more per hour, and none charge over $500 per hour. Here you can see that the percentage charging between $100-$200 per hour is even more than worldwide at 66.23% of all our respondents! From this, we can see that most of the lower-charging firms in our dataset are not US-based. 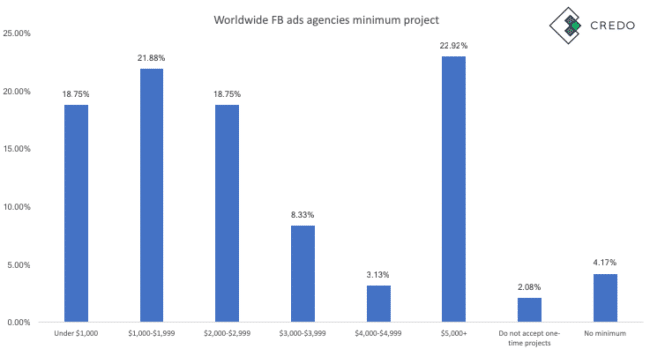 Here the rates for the Facebook ads agencies (2+ full time employees) within our dataset. 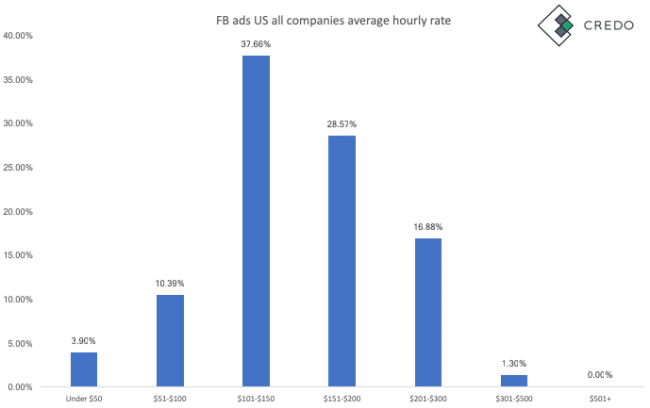 Only 14.58% of our respondents report charging more than $200/hr for Facebook advertising services. 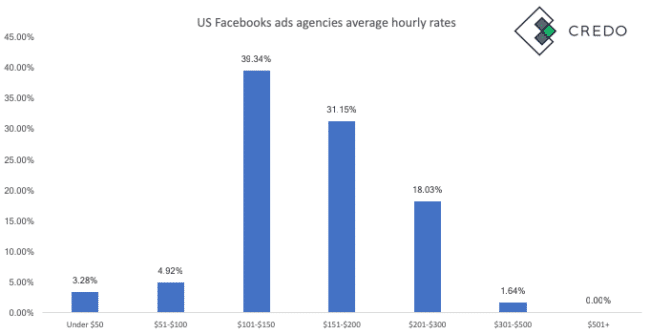 Only 8.2% of our agency respondents in the US charge less than $100 per hour, which is heartening to see for the value they provide. 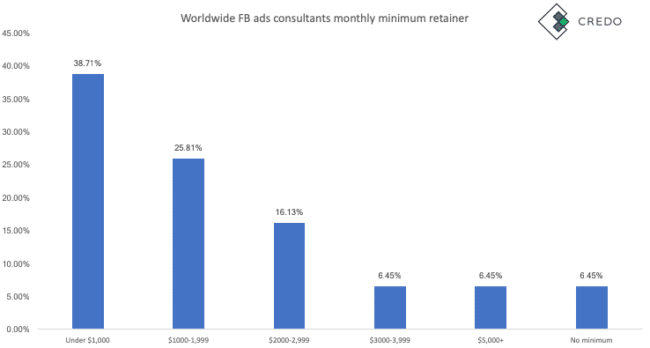 Here the rates for the Facebook ads consultants (only 1 full time employee, may work with outside freelancers) within our dataset. 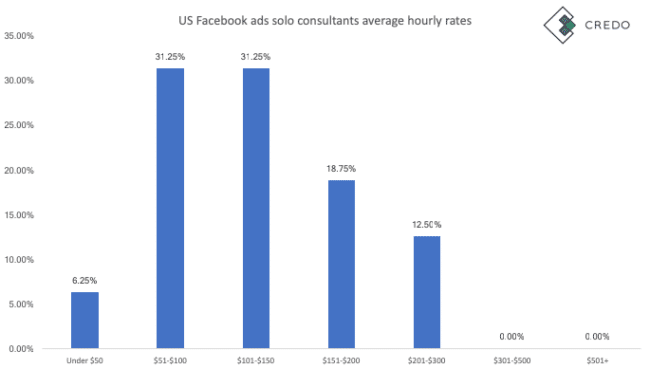 From this data it looks like US based solo Facebook ads consultants charge less per hour for their work than Facebook ads agencies. We don’t quite have enough consultants to say that for sure though. That would not surprise us a lot though as it would be similar to how the SEO world evolved – agencies got more expensive then consultants specialized and raised their rates as they had the years of experience.